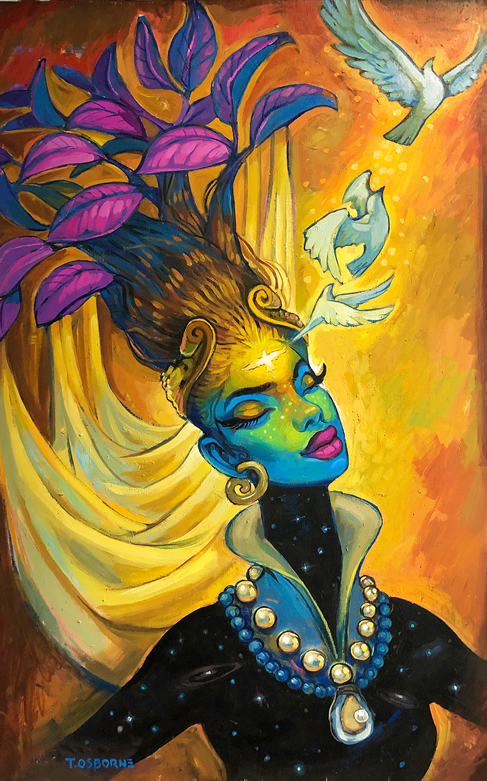 Reclaiming the Goddess Within 2019 is all about cultivating self-love, mindfulness and empowerment through thought provoking talks and activities over a two-day period. 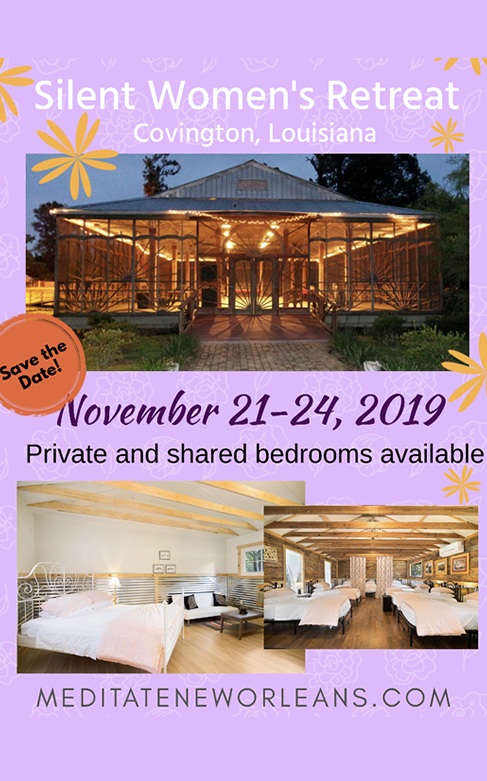 Want to attend guided meditation in a group setting? Private Sessions are only $50. Please contact us or text 504-232-7530 to sign up. Greater mental clarity can by gained by centering oneself and learning to find balance in a world that never stops spinning. By centering oneself, we can see others more clearly and thus, see their troubles and successes more clearly as well. A sense of purpose is important to make clear and informed choices and decisions. Studies have shown that meditation can greatly lower stress that is felt from all areas in one’s life and improve health. Working together to achieve balance and peace? By having a clearer mind and focus, communication can only improve. With meditation, focus is practiced and honed. After improving and strengthening your focus, you can tackle your larger purpose. Want to see real improvements in your team with guided meditation? To see real improvement, we recommend at least 3 sit days per week for 4 weeks. 5 days a week works best and 2 days is better than none! What happens during a guided meditation session? Consistent corporate guided meditation Monday through Friday. Session prices are based on size of each class. Each guided meditation lasts for 20-30 minutes. Participants have the option to sit at a table, on the floor or alternate. Workshops during Team Leadership or Employee Building retreats. 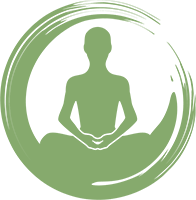 Meditate New Orleans offers information on meditation including different meditation exercises your team can do individually, benefits of meditation, Team Building activities and guided meditation. * We specialize in customizing plans to meet your business’s needs. Our goal is to help you and your team grow, build and prosper. How can meditation help my employees? Meditation can help your employees thrive! 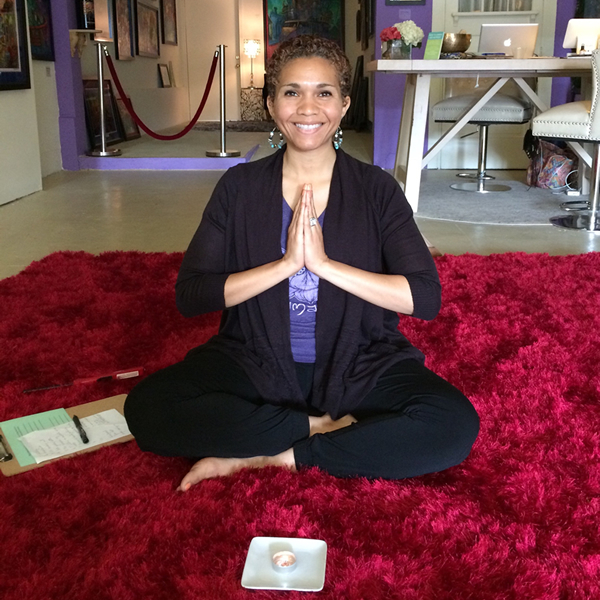 Stephanie Osborne is the CEO and Lead Meditation Guide at Meditate New Orleans. She has studied meditation for over 25 years and has Guided Meditation for over 10 years. After studying a combination of meditation traditions and techniques including Mindfulness, Zen Buddhist Meditation, Tibetan Buddhist Meditation, Primordial Sound Meditation, Soka Gakai Meditation and Mindfulness-Based Stress Reduction, Osborne has created a beautifully blended meditation experience that includes all of her favorite aspects of meditation and it’s traditions. In 2016, Stephanie Osborne, opened The Sit Gift, LLC as a Corporate Guided Meditation business. Over 2017, Stephanie expanded this entity to also offer Weekly Guided Group Meditation sessions at Terrance Osborne Gallery and Women’s Empowerment and Mindful Events locally and internationally. She changed the business name to Meditate New Orleans with a goal of bringing mindfulness into the forefront of people of all ages, in and around the New Orleans area. The mission of Meditate New Orleans is to help people in the United States, connect with their higher selves by practicing stillness, gratitude, compassion and self-love.